Autism camps are specially known for developing social skills to help autistic kids practice specific social skills within the context of a play group, field trip, or activity. At these camps, autistic children can make friends and participate in various helpful social activities. A group made up of other children on the autism spectrum enables all members to learn and practice social skills without fear of rejection or ridicule. Aerobic exercises such as running, cycling or dancing also contribute to cardiovascular fitness. Monitored activities like camping, swimming, arts and crafts and other projects are available too. Some autism camps offer backpacking, cross-country skiing and canoeing for the children. Such camps give a boost to the self-esteem and confidence of affected children. People with autism may find that outdoor recreation clubs provide opportunities for good friendships as the members engage in structured, social situations and perform recreational activities that they love. Kids camps for autism are ideal for any family dealing with an autistic child, as children here participate in a wide variety of activities in a very supportive environment. The schedule, activities and environment are all tailored to the child's needs and encourage group play and social interaction. Autism is a developmental disorder that appears in the first 3 years of life. This disorder affects the brain's normal development of social and communication skills. 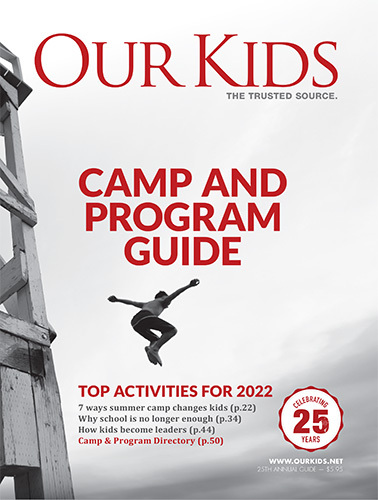 Ourkids.net offers extensive resources for parents and families dealing with autism, including a look at autism and ASD, a list of autism schools as well as a very similar list of autism camps.